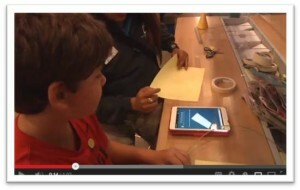 The following video was filmed at the Children’s Museum of Houston in the Invention Convention gallery. In the video, you’ll see one of our Discovery Guides, Sandra, helping a young man create a paper airplane using the World Record Paper Planes app. It’s important to inform you that the original video was over 16 minutes long! The following video, of course, has been edited and is one minute.